We all know that the tech giant, Samsung launched its highly anticipated Galaxy S10 Series last month. Together with that, some A-Series smartphones also went official. 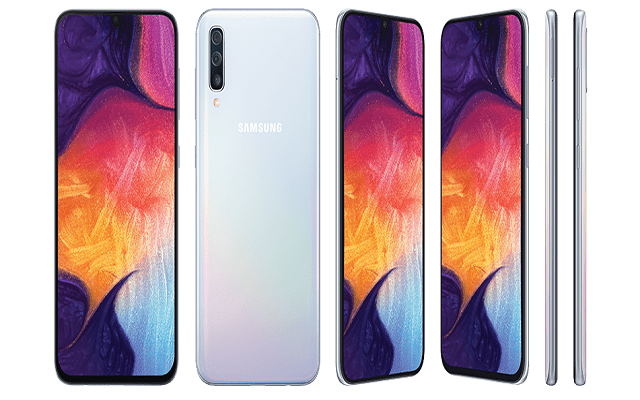 They included Samsung Galaxy A10, A30, A20 & A50. The company is not coming slow and is now all set to release a toned down version of the Galaxy A20 dubbed as Galaxy A20e. Samsung Galaxy A-Series Launch Event is scheduled for April 10. Most probably, we will see the Galaxy A20e at that event. The phone got listed on Samsung UK’s website earlier this month, and now, Galaxy A20e case renders have surfaced revealing its design. Recently, some of the case renders of the upcoming handset surfaced online. These case renders show us that the alleged A20e will look similar to the previously released A20. In addition to that, the upcoming handset will have a waterdrop notch display on the front with a dual camera setup located on the rear in the left corner. These dual cameras will be accompanied by an LED flash. Furthermore, the handset will come with an oval-shaped fingerprint scanner. The smartphone will sport the volume rocker and power button on the right. However, the micro USB port and headphone jack will be placed on the bottom. Let’s have a look at the case renders. Samsung is going to hold an event on April 10. The Galaxy A20e together with some other A-series handset will see the light that day. Let’s see what comes next ahead of Samsung’s Launch Event.